We wanted to remind everyone that when you come inside the building to volunteer, you must bring your drivers license so that we can check you in to our system. We wanted to remind you that all vehicles must have their carpool number posted in the upper right corner of your windshield. We will be rotating the paraprofessionals into different positions during carpool and they may not recognize you or your vehicle. This is for the safety of your children. Please make sure that all people that you carpool with have a copy of your number. If you need a copy, please contact the office. If some one other than your approved carpool group is picking up, arrangements must be made with the front office no later than 2:30pm. Please do not drop your children off before 7:30am as there is no free adult supervision available. If you need before school care, please contact Mollie Holm at mollie.holm@legacyk8.org. Also children must be picked up by 3:45pm. Any children not picked up by 4pm, will be sent to aftercare so that they will be in a safe and secure environment. There is a fee to use this program. We are all settled in, what a great start to a new school year. Thank you for entrusting your children to us. Please remember, parents are welcome to call our office with any questions or concerns. We are happy to help! This month there is No School on Friday, September 04, 2015, Monday, September 07, 2015, Friday, September 25, 2015 and Monday, September 28, 2015. September 11, 2015 is Patriot Day Observation 8:00am in the gymnasium. Please invite all your friends and family who serve or have served our country in the armed services, firemen and women, nurses, doctors, police officers, teachers etc. to our celebration! All children involved in a community service oriented club may wear their uniforms including Girl and Boy Scouts, AWANA, ROTC, etc. on this day. We are still looking for donations of brunch items for our celebration. All donation costs and time count towards volunteer hours. Please bring in disposable containers, or label your containers with first and last name. Please remember, students needing a hot lunch must place an order by 8:25am each day. Keep this in mind if your student is coming late. Make checks payable to “Elizabeth School Lunch Program” for lunch accounts, and add the name(s) of your student in the memo along with their grade. More information about our lunch program can be found at www.elizabeth.k12.co.usfoodservices.aspx. Sign up on our website for Help Counter to register your volunteer hours at HelpCounter.net. Free and reduced lunch applications are available on our website or hard copies are available at the front office. We are still looking for donations of brunch items to feed all of our community service workers for our Patriot Day Observation on Friday, September 11, 2015. All donation costs and time count towards volunteer hours. We will pick up items during carpool on Friday, September 11, 2015, so you or your student does not have to worry about getting the items into the school. Please bring in disposable containers, or label your containers with first and last name. Please e-mail Ms. Anne if you can help at anne.stanley@legacyk8.org. Mrs. Joann McQuigg (Librarian) is in need of several people to help set-up, run, and breakdown our Scholastic Book Fair. The dates are Monday, September 21, 2015 through Friday, September 25, 2015. Please e-mail joann.mcquigg@legacyk8.org if you can help with any of these dates. Having trouble getting opportunities to volunteer at school? Make a cash donation to our ROAR awards program. Just send a check to the office and mark ROAR in the memo. This school year Legacy Academy is focusing on building character. School wide the students are asked to R.O.A.R. This means students are asked to be Respectful, On Task, Appropriate and Responsible. Students who show R.O.A.R behaviors are awarded a R.O.A.R Award. Then 10 R.O.A.R awards are drawn every month and those students will have ice cream with Mr. Naber. Friday, August 28, 2015 ~ All School Dress of Choice! Tuesday, September 1 ~ Cub Scout Join Night for boys in 1st – 5th grade at 7:00pm in the cafeteria. Tuesday, September 8th ~ PTCO General Meeting at 5:30pm (Free Childcare Provided). 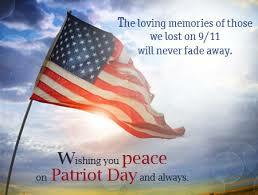 Friday, September 11th ~ Patriot Day Observation 8:00am in the gymnasium. Please invite all your friends and family who serve or have served our country in the armed services, firemen and women, nurses, doctors, police officers, teachers, etc. to our observation! All children involved in a community service oriented club may wear their uniforms including Girl and Boy Scouts, AWANA, ROTC etc. Tuesday, September 15th ~ Middle School Sweatshirt Order deadline. Thursday, September 17th ~ Free Bronco Dress of Choice. Students may wear Bronco colors and jeans. Friday, September 18th ~ All School Dress of Choice/All School Picture Day! Wednesday, September 23rd ~ See you at the Pole, 6:30am This is a student led prayer time around the flag pole that is a global activity. Students and parents bring a breakfast item to share and come to the cafeteria for a quick breakfast at 6:30am and then gather around the flag pole at 7:00am to pray for their school, friends, churches and community. Thursday, September 24th ~ Hat Day! Students can wear a hat for $2.00. Elementary ROAR assembly 8:30am to 9:00am in the gymnasium. Parent Teacher Conferences from 4:00pm to 8:00pm by appointment only. Elementary teachers will be in their classroom. Middle school teachers will be in the gymnasium. An email invite will be sent soon. Scholastic Book Fair will be open to students/parents during conferences. Friday, September 25th ~ No School! Scholastic Book Fair will be open during conferences. Elementary teachers will be in their classroom. Middle school teachers will be in the gymnasium. Monday September 28th ~ No School/Fall Break. Its time for BAND! Another exciting school year is upon us and we are shooting for even a bigger and better year. This year we are going to sign up for band and get our instruments in a different way. Who? — Any student in 5th-8th Grade who wants to start an instrument or who has been playing for a year or more. When and where?-— All students desiring to be in band need to bring their parent/guardian to the Music room (in the mobile trailer out back) on Tuesday, September 8th between 4:00-6:00p.m. We will talk about instrument choices and options. Instruments? ––Students can bring a family member’s instrument to use, ask to borrow one from the school, or rent one from Flesher Hinton’s amazing program online at www.flesherhinton.com. If you need help with this, please e-mail Mr. Wiens at kris.wiens@legacyk8.org ASAP. Rental instruments will be delivered to the school for your convenience instead of driving down to Denver to pick them up. Cost? — There is no charge to join Band at Legacy, but there are some tools your student will need to be able to participate like SmartMusic ($40 yr). What is the commitment? All parents/guardians and students upon signing up for band agree that they understand their grade is based upon 30 minutes of practice 5 days a week, and attendance at one or two concerts. Learning an instrument is an exciting new venture that requires more commitment than just the student’s. Students need help learning the discipline of working hard and sticking with something, even when it gets challenging, and then reaping the wonderfully exciting rewards of performing for others and being recognized. Band will meet this year from 7:00-7:45a.m. on Tuesdays, Wednesdays and Thursdays. The time change from last year is an effort to decrease the amount of stress created by the business of many important events such as dr. appointments, sports practices and rehearsals, and many more that occur at the end of the school day. We are having our first all school dress of choice this Friday. Below are some guidelines for parents to follow when sending your student to school on a dress of choice day. This information is also located in our Parent Student Handbook. Skirts – Skirts must meet the ‘fingertip’ length guideline. No hats of any kind, including baseball caps, may be worn in the building (girls or boys). Hats may be worn outside to and from the school and at recess. Sleep attire may not be worn to school. Please mark you calendars for Friday, September 11, 2015 – Patriot Day Observation 8:00am in the gymnasium. Please invite all your friends and family who serve our country in the armed services, also firemen and women, nurses, doctors, police officers, teachers etc. to our celebration! All children involved in a community service oriented club may wear their uniforms including Girl and Boy Scouts, AWANA, ROTC etc. on this day. We are in need of brunch items. Donation costs and time count towards volunteer hours! Please e-mail Ms. Anne if you can help at anne.stanley@legacyk8.org. If you are looking to decrease the amount of time it takes to pick up your student, be sure to arrive shortly after 3:15, or closer to 3:30. We do not start calling carpool numbers until 3:15. The carpool system allows us to release students quickly, but the first wave of students usually reaches vehicles at about 3:18. Once the first wave of students begins loading, carpool only lasts 20 minutes. For example, if you were to arrive at school at 3:30, you would find there is a much shorter line and it will be moving at a steady pace. Your students are very safe in their classrooms until you are able to pick them up, and it is a great opportunity for them to read quietly and relax before heading home. They will also not feel as stressed to leave when there is much less traffic and confusion. Those parent s that arrive at 2:30 will have to wait 45 minutes before the carpool begins, plus an additional 5 minutes to get the first students to cars. Please be aware that students are in classes until 3:15. Arriving 15-30 minutes early to pick up students on a regular basis is very distracting to end of the day class periods. Also, we are trying to keep those times a bit more clear for those parents that might need to pick up students for appointments. Please stay in the carpool lane, unless directed otherwise. Do not stop in front of the building to let your child out, but pull all the way forward in line. We need to get as many cars through at once. Parents please remain in your vehicle as your child exits your car. The paras will assist them. Please don’t block traffic at the entrance of our property where the cones are located. Be patient with the flow of traffic. Make sure your children are ready to go when you come through carpool. Do not drive towards oncoming traffic. Respect our employees and follow their directions and be courteous. Please arrive before 8am and 3:45pm. Our paras are only on duty until 4pm. Student not picked up on time will be placed in aftercare. No left turns out of the property, per the Elbert County Sheriff; they will enforce this. Welcome back! As we begin our first full week of classes, I wanted to take a moment to thank all of our families for choosing Legacy Academy. Our first few days of school have been very smooth and we have a fantastic group of students again this year. Last spring we held an event to raise some funds for our parking lot and to add a second entrance to the school. Thanks to the generous support from many of our families, we were able to raise the amount needed to get these projects moving. At this time we are waiting for final approval from Elbert County before we can begin work. Thank you to all who participated in the event last spring. The Board of Directors and I appreciate your support for Legacy Academy. Thank you again for choosing Legacy Academy and thank you for trusting us with your students! We are so excited about the new school year. We wanted to remind everyone about the schedule this week. Monday, August 17, 2015 ~ Kindergarten & Sixth grade orientation. Children will attend from 12:00pm to 3:15pm. They must wear their uniforms today. All kindergarten parents please plan on parking and walking your students to their classroom, then staying for a 45 minute orientation in the Cafeteria. Teacher assignments will be at a table in the front lobby. The teachers want you to know what to expect for your student in the 2015-16 school year. Please make sure you have copies of your students immunizations and birth certificate and stop by the office to finalize payments and get carpool numbers. All sixth grade parents please plan on parking and walking your students to the gym and staying for a 45 minute meeting. Please stop by the office to turn in documentation of the required Tdap booster immunization and to get a red carpool sign for your car as middle school drop off – pick up, is at the back of the school. Elementary students find out teacher assignments (at a table in the front lobby), visit their classroom and deliver supplies. If you ordered a supply kit, it will already be in the students classroom. Parent portal password – Mrs. Knowles (Office Manager) will be set up in the front lobby to assist in this process. If you are not attending Back-to School night, please e-mail Kathy Knowles at kathy.knowles@legacyk8.org. Please include an 8 character password that you have picked (must include one capitol, one character and or number) Please allow two weeks for a response. Hotdog dinner for $2.00 per person. Sponsored by PTCO. They will also be available to order sweatshirts and middle school P.E. uniforms. Wednesday, August 19, 2015 ~ First Day of School for K-8th grade. PTCO Tears and Cheers 8:00am to 9:00am in the cafeteria. Come cry or celebrate over your child (rens) entry or return to school. Refreshments served, Kleenex provided! Thursday, August 20, 2015 ~ Regular school day! Friday, August 21, 2015 ~ Regular school day! Parent Chaperones: Must have Legacy Background Check and will be accepted on a first come basis. Staff Sponsor: Stacy Millet/Denise LeSage stacy.millet@legacyk8.org Please feel free to contact us with any questions. Return all forms and check payments to your child’s Science teacher (Mrs. LeSage/Mrs. Millet). 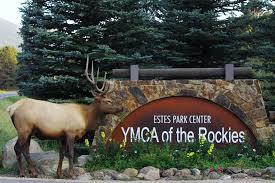 If using Square at the office for payments, please make sure to mark that it is for 6th Grade Trip.